Welcome to this updated and meticulously maintained Ross Cottage condo!! Situated overlooking the 14th hole on the Ross course at Boyne Highlands, this condo is in the heart of the action. (Don`t worry about getting hit by a golf ball though as this sits plenty far back off the fairway and protected by mature trees!!) Enjoy granite countertops throughout, a luxurious master bathroom and plenty of room for friends and family in the large upstairs bedrooms. Need a place for storage? This condo has a full and dry basement with ample space for seasonal decorations and your belongings not in use. If you so choose, you can enter this property in the Boyne Highlands rental program to help offset some of your costs, or enjoy this beautiful condo all to yourself!! 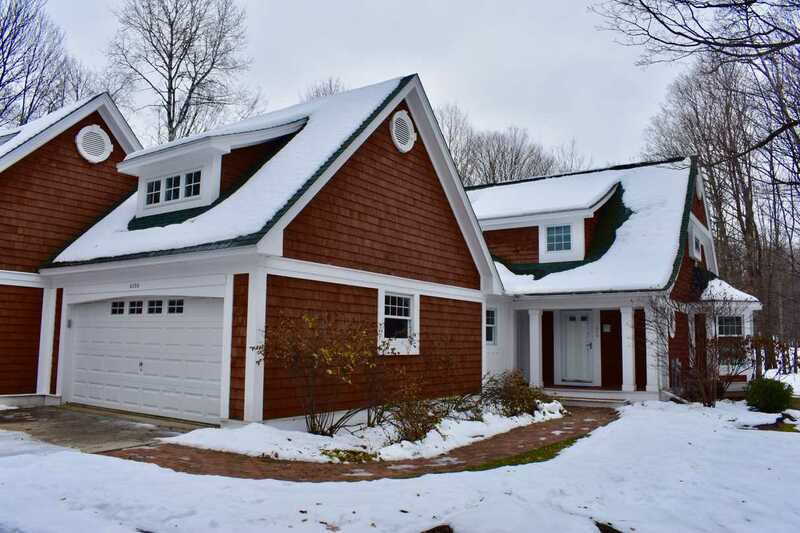 10 minute drive to Harbor Springs and 20 minutes to Petoskey make this an ideal location for all your up north activities..